Blueprints is an initiative of Alabama Possible that impacts high school student retention and college success. Through a collaboration between Auburn University Center for Educational Outreach and Engagement (CEOE) and the Honors College the Blueprints program will offer “near peer” mentoring between Auburn college students and local high school students in the 9th though 12 grades. This structured program uses trained college mentors to provide 9th grade early awareness mentoring and 10-12th grade college coaching through the college and career readiness classes at our partner high schools. With guidance from their mentors, Blueprints students engage in college and career exploration, acquisition of academic and soft skills, and financial education activities to complete scholarship and financial aid applications. Alabama’s Blueprints students in the Class of 2014 gained acceptance to over 70 colleges nationwide! Auburn University CEOE is pleased to provide documents in support of the GEAR UP Alabama (GUA) Tutoring Program. The purpose of GUA tutoring program is to facilitate one-on-one and small group academic tutoring between college students and GUA school participants focusing on increased math, science, and English/Language Arts achievement for GUA students through individualized assistance; to improve GUA students’ exposure to college-age near peers in order to promote a college-going culture; and to leverage IHE resources in order to improve the academic success of students in Alabama’s Black Belt region. GUA welcomes public and private IHE’s throughout Alabama–Community Colleges/4 year Institutions as partner organizations to provide tutoring throughout the Black Belt Region in order to serve students, teachers, and schools affiliated within the GUA grant regions. Students enrolled in IHE’s with an official GUA partnering program who have an interest in working with middle school students and demonstrated proficiency in math, reading, and science are encouraged to participate. GUA personnel who will help facilitate the tutoring program process include Regional Coordinators and Team Leaders who are all assigned to GUA schools. 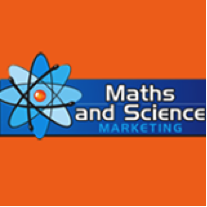 Maths and Science Marketing is a free, web-based program offering over 100,000 pages of PowerPoint and PDF learning and teaching modules, textbooks, workbooks, experiments, videos, simulations, worksheets, tests & exams with memos, study secrets etc. This internationally acclaimed teaching and learning program was developed in South Africa to advance educational opportunities for students underrepresented in the nation’s colleges and universities. With math programs for grades 1-12 and science programs for grades 10-12, this interactive teaching and learning tool offers strategies, resources and materials for both teachers and students. Visit their website at: http://mathsandscience.com/. CEOE looks forward to hosting future workshops for teachers wanting support using the Maths and Science Marketing program. Check our website for announcements. SENCER is a program funded by the National Science Foundation that encourages students to apply what they learn in the classroom by focusing on real-world problems and using a hands-on approach to solve issues in their communities. SENCER especially believes that students can be guided to apply what they learn in any science class or course to their individual learning objectives, regardless of the academic field. Auburn University’s SENCER Team is an inter-disciplinary group of academic leaders committed to advancing the SENCER approach throughout the university teaching and learning culture. CEOE has joined the SENCER Team in an effort to develop projects and programs that will work collaboratively with Auburn academic units implementing the SENCER approach across various disciplines. You and I Together Excel (U.N.I.T.E.) Mentoring is a program serving underrepresented minorities from grades 9-12 and college freshmen through seniors. The focus of U.N.I.T.E. is to lead students to embrace academic achievement and persistence in school, leading to high school and college graduation. The objective of the program is to increase achievement and perseverance among minority students using peer mentoring as key tools to achieve success. U.N.I.T.E. provides business etiquette seminars, professional development workshops and engages in community service projects. U.N.I.T.E. promotes leadership, scholarship and social awareness, helping youth develop spiritually, culturally and intellectually. U.N.I.T.E.’s founder, Travis Smith has established chapters at LaFayette High School (Chambers County) and Alabama State University. Through a partnership with Auburn University Center for Educational Outreach and Engagement (CEOE), U.N.I.T.E. expects to enhance programs for the LaFayette High School chapter and form new chapters at area high schools.